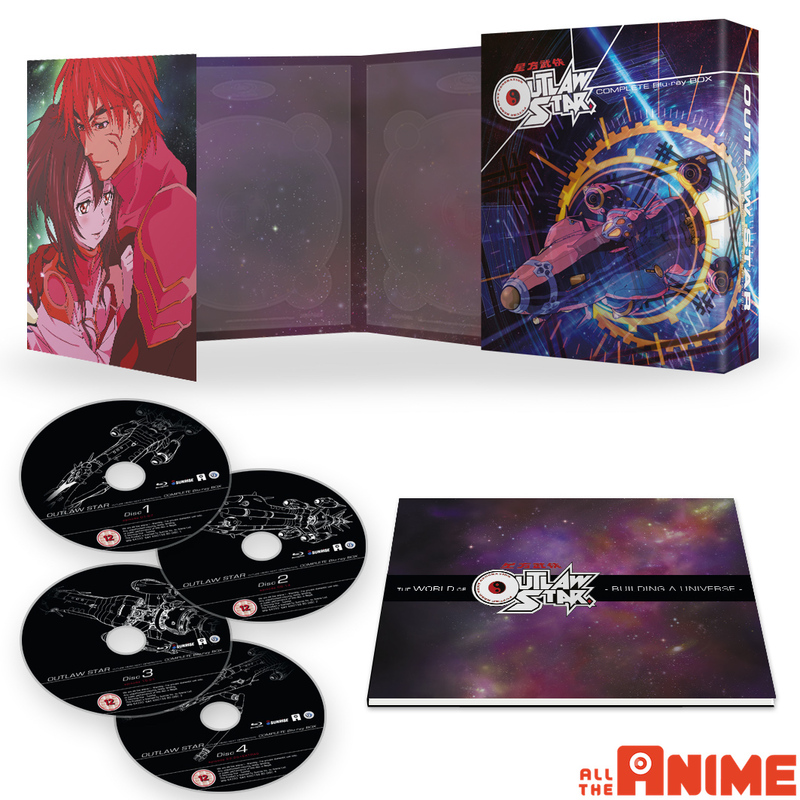 Anime Limited has announced they will be releasing Outlaw Star on Blu-Ray. Hopefully, with the ANIME LIMITED English BD release of OutLaw Star the U.S. FUNimation release is not far behind. Here’s hoping! We’re delighted to announce we are bringing the classic series Outlaw Star to Blu-ray! After previously releasing the series as a remastered DVD set in June 2014, we know a lot of you were asking if a Blu-ray release might be possible. At the time we only had the DVD rights and since we released looking in a Blu-ray release is something we have been doing. The time is now! 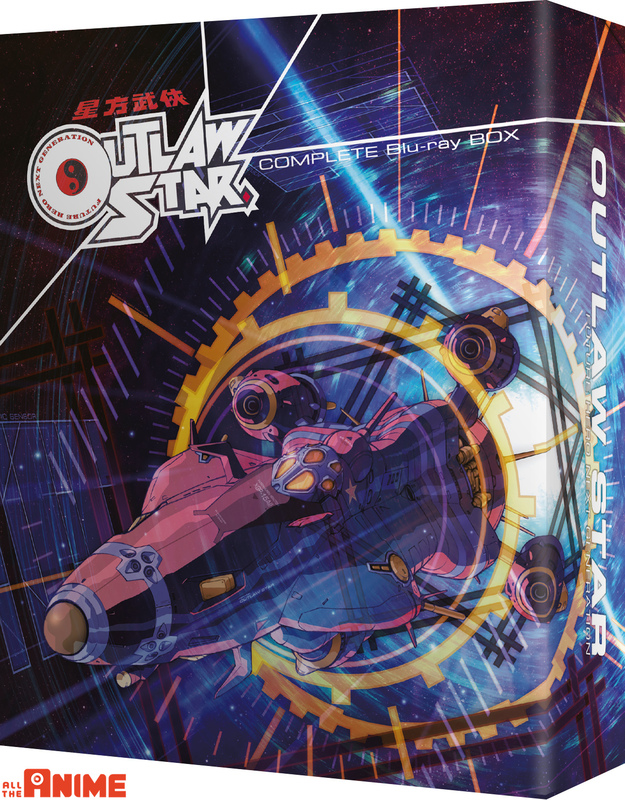 Outlaw Star will be released as a Limited Collector’s edition Blu-ray set from 5th December. Expect to see listings appearing on retailer sites very soon. The set will coming in Collector’s packaging, with the entire series (26 episodes) contained over four Blu-ray discs. (For those of you who like the technical information, it’s four BD50 discs.) Also included in the set will be a 100-page “Building a Universe” art book, that has not been produced in English anywhere before. It contains Line Arts, Image Boards and Mecha & Props. Extras: Clean Opening and Closing title sequences, Character Design Galleries, Mechanical Design Galleries, Character Color Setting Gallery, TV Commercials and the Pilot Film. And now for a glimpse at what the set will look like when it arrives on 5th December. Now to give you a preview of the Blu-ray quality, you can watch a clip of the Opening title sequence below. We’ve left the subtitles on so you can see how they look with the video. It’s worth noting that a streamed clip such as this can’t replicate the experience of watching the actual Blu-ray disc itself, but certainly give you a good indication of what to expect. Also worth noting that the video assets used on our release are identical to the Japanese Blu-ray release.